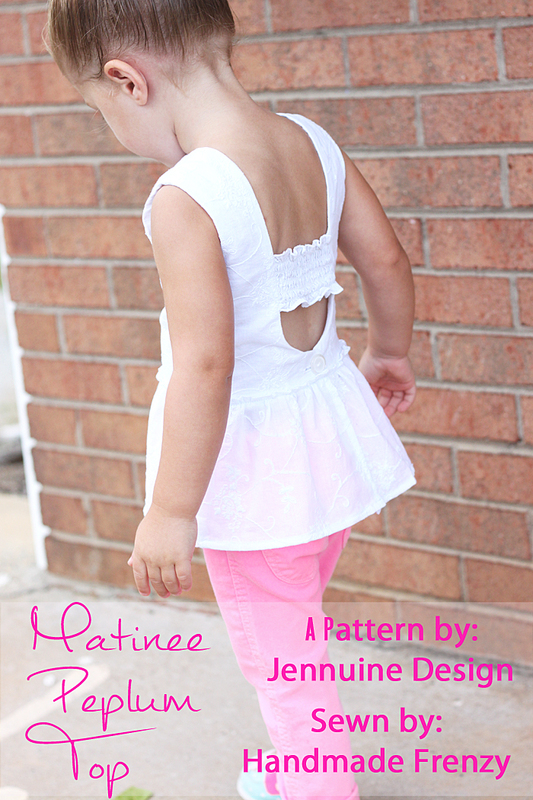 Matinee Dress and Peplum Top Tour, Discount Code AND Giveaway!!! I am so excited to be on the Matinee Dress tour today! 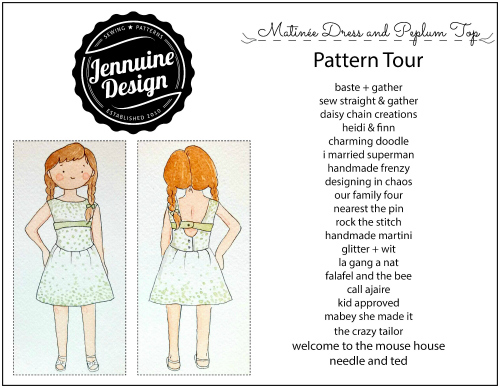 This fun and adorable dress and top pattern is designed by Jenn of Jennuine Designs. 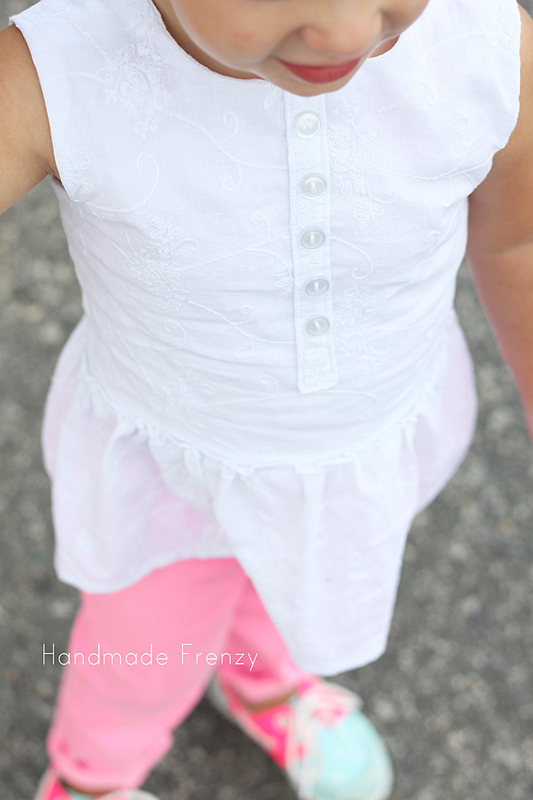 For the tour today, I had a little bit of fun with the pattern and created a sweet little peplum top for my little miss that I know will get TONS of wear. Let's start off with a little honesty here shall we? ;) When I first saw the design for this dress I wasn't sure about the open back style, I just wasn't sure it was "me" or that I wanted O to wear something with that sort of design. Well, then Jenn asked for a little help for a pre-test in the bodice size that O wore and I whipped up a couple of "quick and dirty" tests. Just those couple of simple bodices, checking fit, made me completely smitten with this sweet design. So when she asked if I wanted to be part of the tour I couldn't wait to make a peplum top from this pattern because I knew I'd love it, and I totally do. Even more than I thought I would!! Since the bodice was a bit short (and truth be told this is the look I was going for, otherwise I would have shortened it myself) I lengthened the peplum piece by a couple of inches. Then, instead of attaching it as per the pattern, I finished off the bottom of the bodice, finished the top edge of the peplum piece and attached it on the outside for a fun and different look. I made a faux button placket and topstitched it to the front then added the buttons. I eliminated the sash and inserted a shirred strip in the back. (If you are worried about showing too much back, this is also a good way to cover up a little. Ex. do a couple of sashes or a wider piece in the back - just make sure it has stretch!!) To add the shirred strip, I had to do the construction a bit differently than the pattern directs as well. I used the "burrito method" on each sleeve, one at a time. Instead of just sewing right sides together like in the pattern directions, I had to roll up and sandwich the whole top between the sleeve, sew with right sides together, pull the top out of the "burrito" and then repeat on the other sleeve. I also used just one large button in the back for closure. 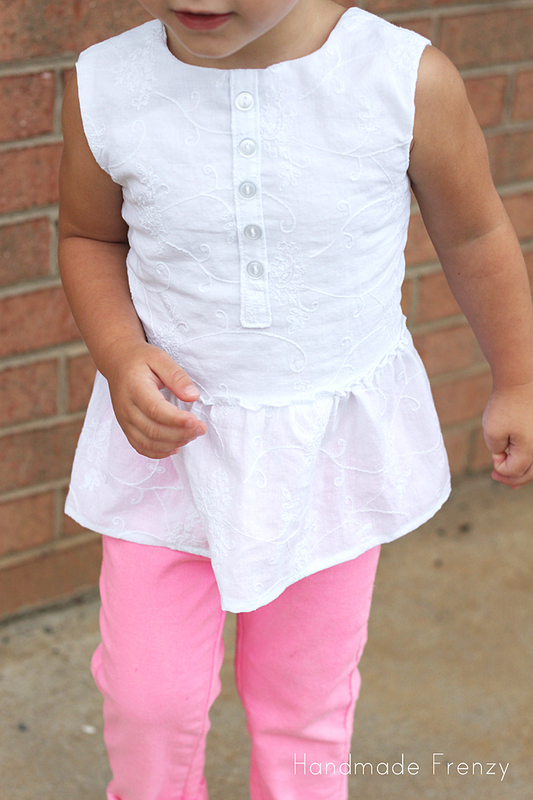 I absolutely love the outcome, the fabric is super lightweight and airy, and the top is so comfy for my little miss that I will LOVE putting it on her. And you can bet I will be, often. I love the detail in the fabric. Also. White is super hard photograph, ugh! La, la, love her new top!! Have I convinced you that you need the pattern yet? Well, you're in luck! It is 20% off for the duration of the tour if you follow this link and use the code matineetour20! 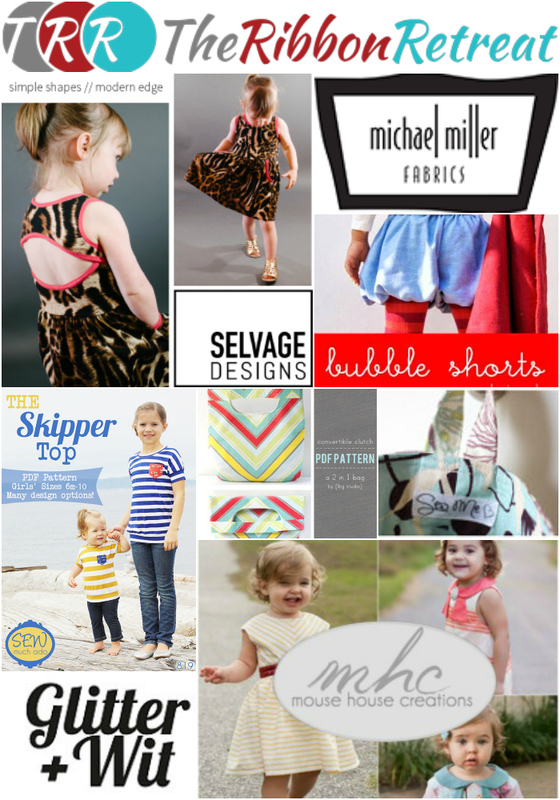 And there is an AWESOME giveaway that you don't want to miss! And be sure to check out the other tour participants as well, there are so many cute versions of this pattern!! Heidi I LOOOOOOVE your version!! 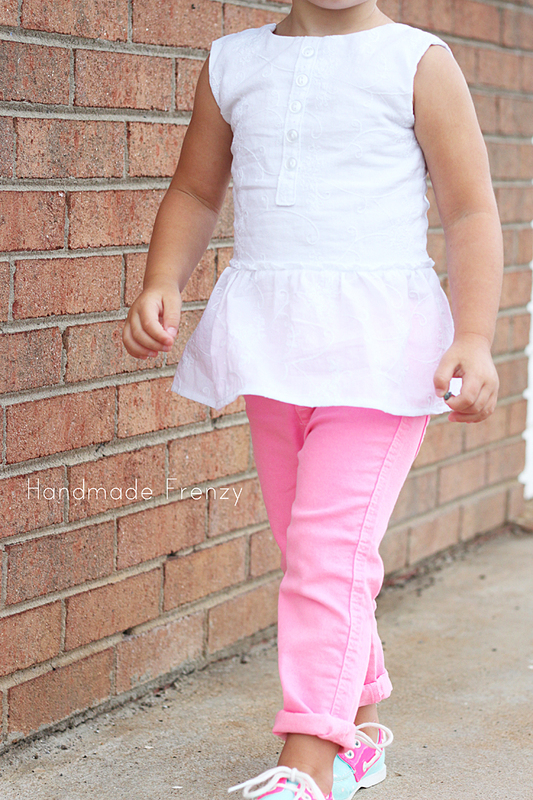 The shirred back detail is so sweet and I love that faux button placket!! 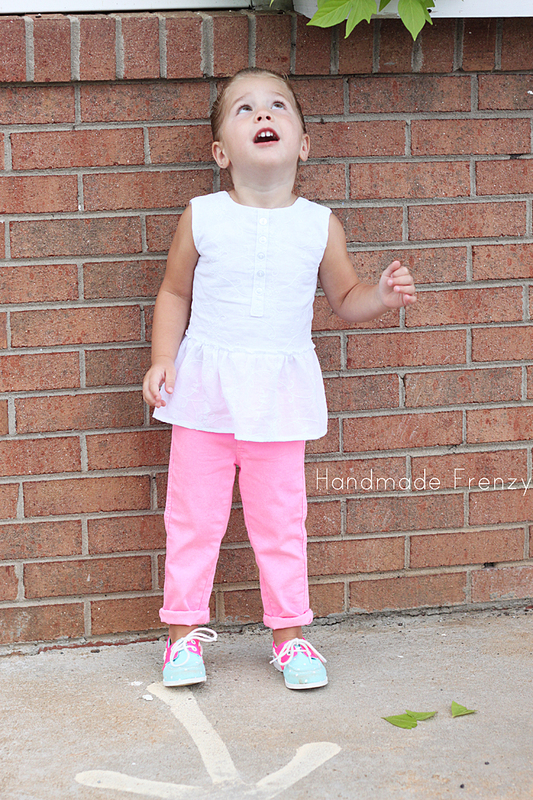 I made the peplum for Hannah too, and now that I've seen this I want to make another. A good thing to happen on a pattern tour though, amiright? Heidi, I love this top! And the description of the "burrito" method is so fun! 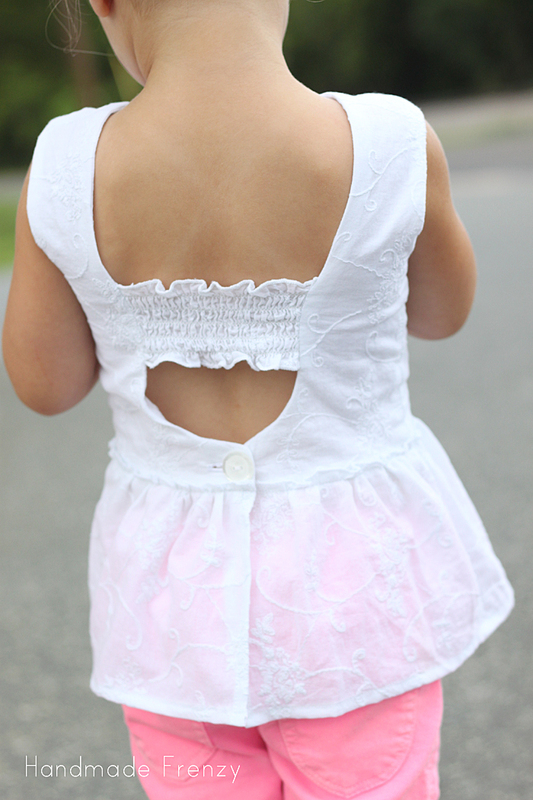 Isn't there just something about a little girl in crisp white for the summer? I LOVE your styling! She looks so adorable! Love the changes you made too! They are so cute!